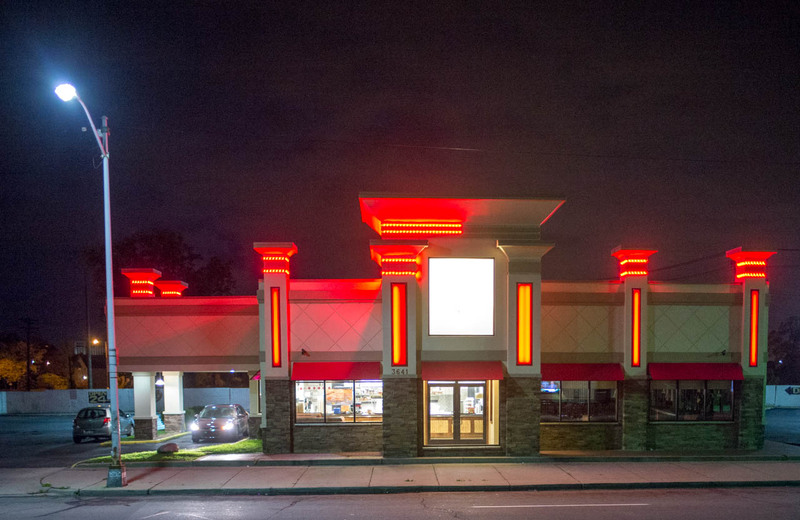 Motor City Grill and Restaurant at night, Grand River Blvd, at Magnolia, Detroit, 2013. A man asked: "Hey Man, What do you do? Why are you taking pictures?"